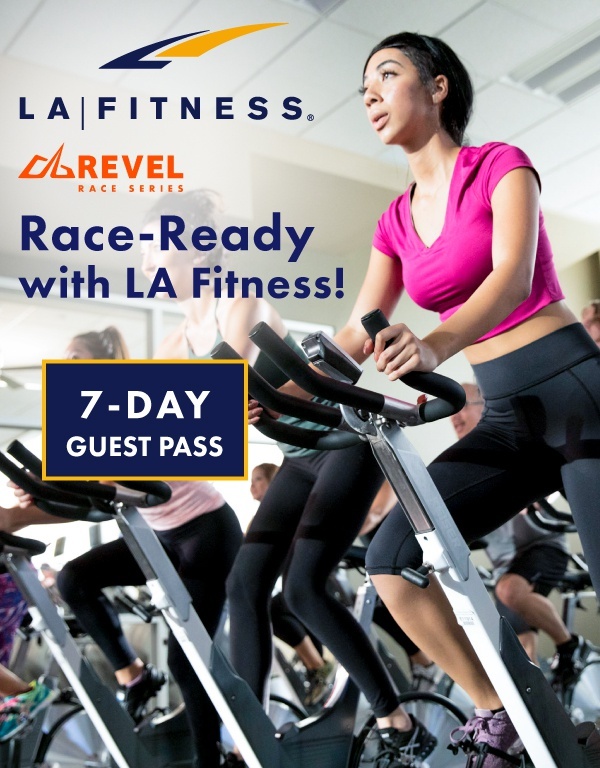 REVEL Race Series is excited to announce its partnership with fitness industry leader LA Fitness. Visit one of their 700+ locations nationwide with this complimentary 7-day guest pass. We all know that cross training is an effective injury prevention method, be it cycling, swimming, or strength training. Let LA Fitness help you toe that starting line fit and healthy! Sign up for the free 7 day guest now.